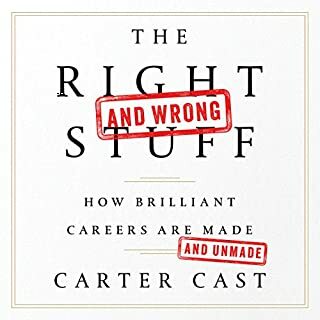 Nearly a quarter century ago Carter Cast seemed to have it all together: he had a first-class education, an all-American athletic career, and was a very bright and energetic rising star on the fast track at a Fortune 100 company, PepsiCo. But blissfully unaware of how negative perceptions were shaped, he was stunned when called into his boss's office, and told he was "unpromotable" because he was "obstinate", "resistant", and "insubordinate". Stretch identifies key ways for people and organizations to work beyond their resources to achieve higher performance. 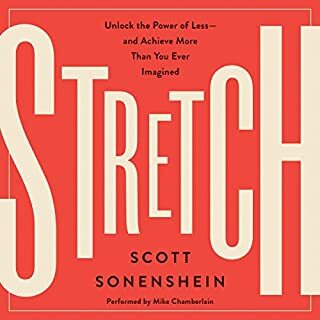 Based on in-depth research in psychology and management, Scott Sonenshein shows how to accomplish goals, find professional and personal success, and live a richer life. Sonenshein reveals that while we rarely have all we think we need, we usually have more than we imagine. For decades we've been told the key to prosperity is to look out for number one. 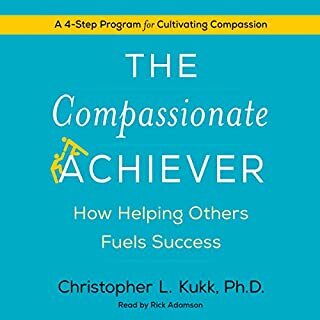 But recent science shows that to achieve durable success, we need to be more than just achievers; we need to be compassionate achievers. New research in biology, neuroscience, and economics has found that compassion - recognizing a problem or caring about another's pain and making a commitment to help - not only improves others' lives; it can transform our own. 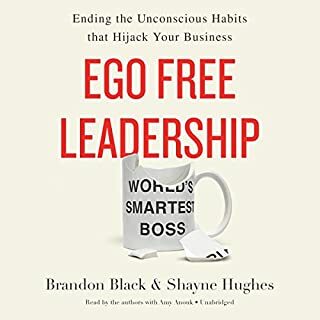 Told from two lively first-person perspectives, Ego Free Leadership brings listeners along for Encore's incredible success story. They'll see a CEO overcome his unconscious resistance to modeling the change he wants in his team and discover a time-tested road map for eliminating the destructive effects of the ego in teams and organizations. I felt the story with the reader. Feeling directionless or perhaps too intimidated to make a necessary change in your life? Tired of letting your fears keep you from achieving your goals or becoming healthier, happier, or more successful? If so, this book is for you. Popular life coach and consultant Adam Smith has created a powerful method to help you harness your inner passion and drive to overcome whatever is holding you back. What motivates employees? As a manager, you need to know why people come to work every day, what makes them stay - and what drives them to perform at their best. According to Teresa Amabile and Steven Kramer, the best leaders are able to build a cadre of employees who have satisfying inner work lives: consistently positive emotions; strong motivation; and favorable perceptions of the organization, their work, and their colleagues. To do this, you must create forward momentum in meaningful work. Soft skills do translate into hard dollars! There's a revolution taking place that most businesses are still unaware of. The understanding of how our brains work has radically shifted, exploding long-held myths about our everyday cognitive performance and fundamentally changing the way we engage and succeed in the workplace. Combining their expertise in both neuropsychology and management consulting, neuropsychologist Friederike Fabritius and leadership expert Dr. Hans W. Hagemann present simple yet powerful strategies. Understand your brain for a better life! Personal presence is difficult to define but easy to recognize. People with presence carry themselves in a way that turns heads. When they talk, people listen. When they ask, people answer. When they lead, people follow. Personal presence can help you get a date, a mate, a job, or a sale. It can help you lead a meeting, a movement, or an organization. Presence is not something you're born with - anyone can learn these skills, habits, and traits. You aspire to lead with greater impact. The problem is you're busy executing on today's demands. You know you have to carve out time from your day job to build your leadership skills, but it's easy to let immediate problems and old mind-sets get in the way. Ibarra turns the usual "think first and then act" philosophy on its head by arguing that doing these three things will help you learn through action and will increase what she calls your outsight - the valuable external perspective you gain from direct experiences and experimentation. As opposed to insight, outsight will then help change the way you think as a leader: about what kind of work is important; how you should invest your time; why and which relationships matter in informing and supporting your leadership; and, ultimately, who you want to become. Packed with self-assessments and practical advice to help define your most pressing leadership challenges, this book will help you devise a plan of action to become a better leader and move your career to the next level. It's time to learn by doing. 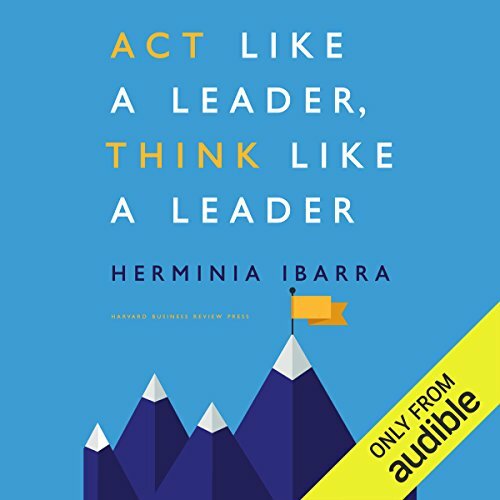 ©2015 Herminia Ibarra (P)2016 Audible, Inc.
great read lots of ahhh ha moments recommended reading for those in leadership positions or looking to step up. Yes, but I would recommend buying the print book instead or at least as a companion. Good information about the practices that will set you up for success. As the title indicates, one must do the things a leader does in order to be a leader. It was very hard to assimilate the information as it was narrated and this book has a lot of figures that do not come across well in the narration. I would recommend that the narrator speak more naturally or as if giving a lecture and recognize that some portions are anecdotal and should be delivered as a story. Some details are more important that others and should be emphasized, but not every sentence should be spoken with impactful emphasis. Finally, speak just a little faster and with a more natural cadence. No. This is a learning book, not a story book. This book has a lot of figures that are referenced in the text. It also has questions and assessments that really do not come through well as an audio book. I enjoyed listening to this book, but really wish that I had purchased the print version as well. This would be much better if the audio was available as a kindle companion. The book provided solid theory as well as practical steps toward strengthening leadership skills. I would recommend it. If you are aspiring to be leader, this book provides practical advise on how to go about it. This book definitely brings to light some new ways of thinking about leader ship. The concepts presented our white on Mark. We need to look at our ability to act as leaders in this light in order to be successful. Some of the concepts presented will definitely be a challenge for me in my career, but I am brace the way the author presents the new way of thinking. Good compilation of things to think about regarding what makes up an effective leader. Reads like a compilation of HBR articles, not going deep in any specific topic. This isn't a bad thing though as it encourages the reader to think differently about their thinking and encourages them to take action without telling them exactly what to do. 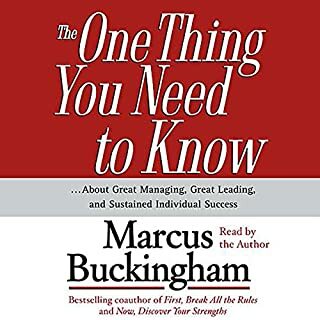 This book contains some simple and straightforward tips for positioning yourself to grow into a leadership position. Such information is essential to people at all levels in an organization. The key issue is to grow your network and use it properly. I thought the content was very insightful and helpful but the reader sounded like William Shatner reading the nightly news. It was just distracting. I would recommend listening to the clip before you buy, but if you decide against the audiobook, the physical book is definitely worth it. Excellent book for creating change in your career or role. Ibarra's primary lesson is that changing your behaviour will be far more impactful in helping you change your thinking, than trying to change your behaviour based on thinking differently. Our actions are more often driven by our experiences, not our knowledge, so the best way to grow is to get new experiences, not by reading books (besides this one I guess). The book has some great examples, stories and some actionable steps to help you on this new journey. This is a very good book for practical advice on leadership but is also well supported by research and case studies. Great book on understanding how to lead. Absolutely great story and approach towards stepping to the leadership roles. Like the act like one approach. It’s hard to listen to this book because I didn’t like the voice of the reader. What got you here won't get you there ! practical advice for managers looking for the next step up to leadership . Listen , inspect and adapt ! extremely interesting and unconventional. requires focus as some concepts can be difficult to grasp straightway. worth it. would have been great to get some tips and tricks. still a very decent book. Awesome book. 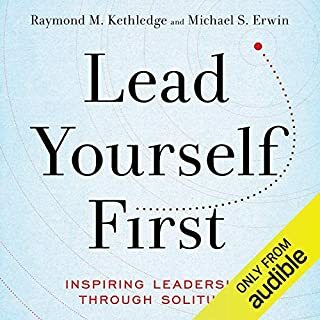 Very helpful in validating your thinking if you're already stepping up into a leadership role, or to set your expectations for the journey to becoming a leader. My favourite part is chapter 4 where it helps you understand your new possible personalities and how to tackle the imposter feelings you get while exploring new parts of yourself. The practical steps and evaluations are also easy to follow and very useful. struggled to take much from this and didn't enjoy the delivery or the content. was expecting a lot more! This is a must for anyone like me who has struggled not only to build networks but to understand why they matter and how to break down the barriers that prevent you from acting. it also helps develop wider skills by putting across the idea of trying out new behaviours to develop more effective leadership styles through test and learn rather than starting with the desired end state as that only becomes clear later in the journey.